Blog Hoppin': Teacher Week: Taming the WILD! Hi friends! 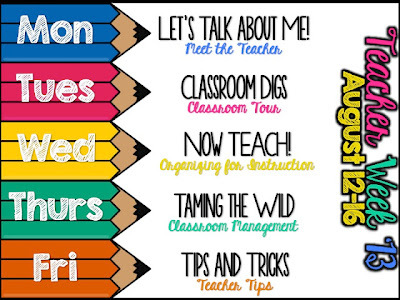 It's Katie and I am sharing a few ways that I plan on managing behavior this year. There have been times when I have caught myself only addressing behavior when it was negatively impacting our productivity. This year one of my big goals is to Praise, Praise, Praise. I plan on doing this 3 ways- individual, small group, and whole group! I will rely heavily on all three ways in the beginning of the year so my students are very clear on my expectations. I will be assembling my clip chart this weekend after a trip to Staples (if you are a reader of my blog you know we are in the middle of a move and I am yet to reunite with my printer!). I found these adorable paint buckets at Michael's and will be using them with pom poms as table points! Aren't they just the cutest?!?! Don't worry- I will add my signature ribbon as well! And last but not least, I can't wait to recognize my cuties for their excellent hallway procedures, cafeteria behavior, and so on! Hi, this is Karen from Mrs. Stamp's Kindergarten. 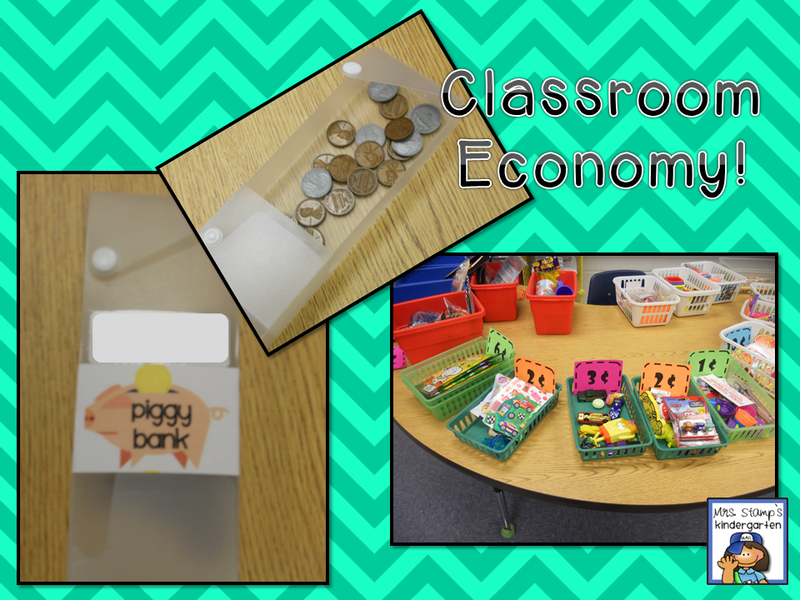 One of my favorite ways to support my students' behavior is through our classroom economy! Each of my kiddos has their own piggy bank to collect their money (that they can earn through good behavior!). I love using these sliding pencil cases. We start the year using only pennies and then add nickels, etc as students learn more about the coins and their denominations. Our classroom jobs are also tied into our economy... and students can earn a nickel for successfully completing their job for the week. Of course, what fun would earning money be if you didn't have a chance to spend it? Every few weeks we have a class store where students can purchase all sorts of fun items (donated by our wonderful class families). 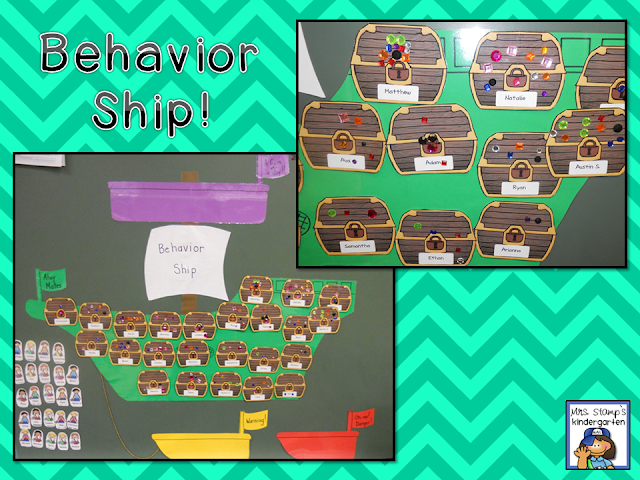 Last year I also used a Behavior Ship as a way to track behavior. Students started on the green ship and earned a spot up in the crow's nest for demonstrating "purpleicious behavior"--a term coined by my kiddos!! Everyone who ended the day on the purple part of the ship added a "gem" to their treasure chest. Unfortunately, poor choices could also move a student's treasure chest to the yellow or red dingey. At the end of each day, students noted their behavior color in the agenda portion of their EAGLE notebook. 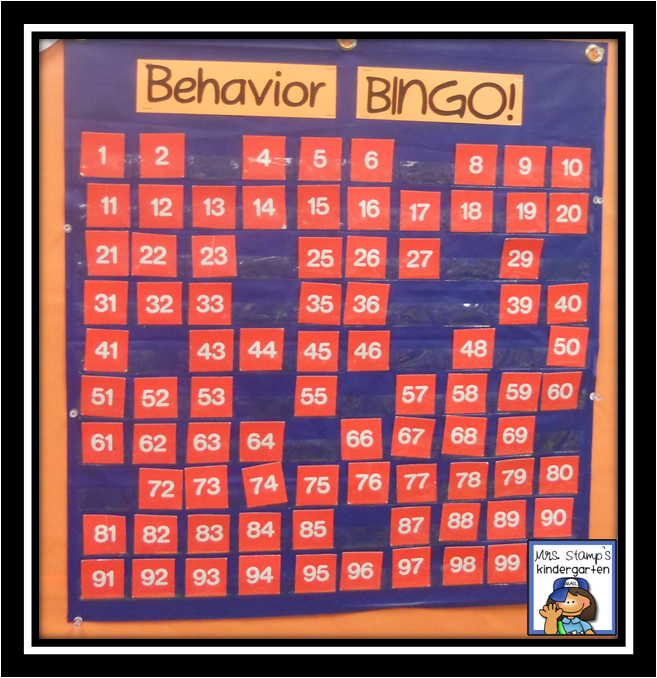 For whole class behavior, we love Behavior BINGO! It's a great way to encourage great behavior choices and practice essential math skills as well. 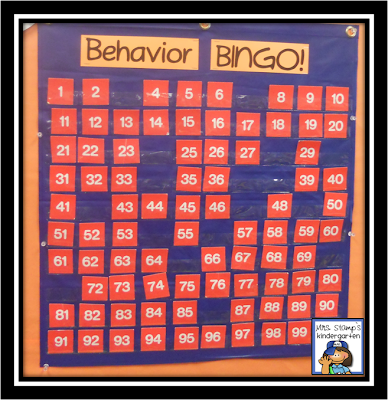 Students can earn numbers for hallway behavior, encore class behavior (music, art, PE, library, computer lab), cafeteria behavior, etc. Once we earn 10 in a row--it's BINGO! Students vote on our reward during weekly class meetings. Class meetings are a great way to CELEBRATE positive behavior choices and discuss ways to correct any unfavorable ones. We have our meetings every Friday morning. After celebrating our friends' "great news," we take time to talk about any problems (without mentioning classmates by name). Then we problem solve together... even acting out scenarios to practice. This role playing truly makes such an impact in class behavior! 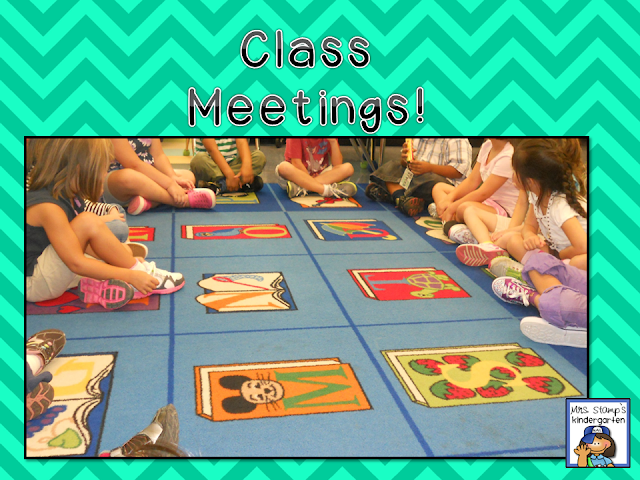 OK, now it's your turn to share your best classroom management tips! Don't forget to use the button below and link up! !